WHAT IS IT? 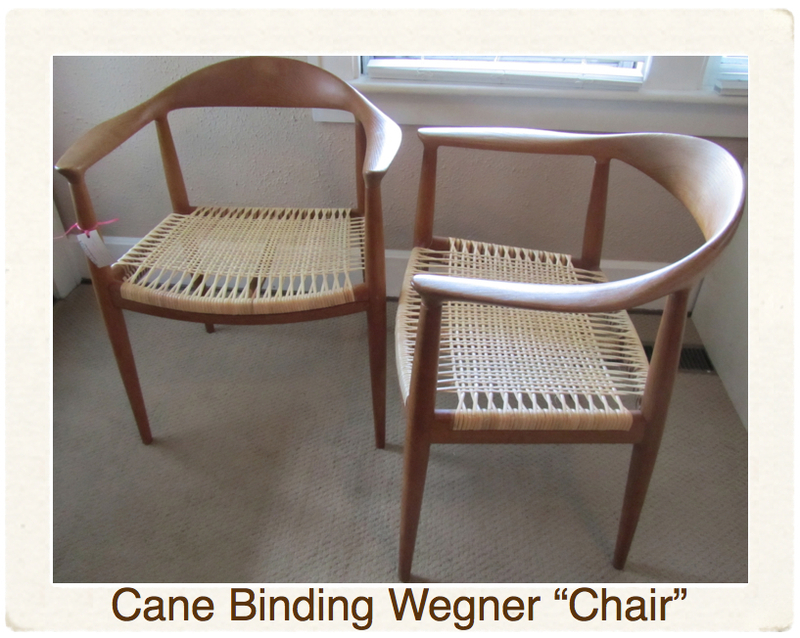 Danish Peel Caning is a general term for the various weaves on Danish, Scandinavian, and MidCentury modern furniture using Cane Binding as the material. The Cane is woven by hand in uncluttered, simpler, and modern designs compared to traditional caning, but the attachment techniques are much more complicated. Most techniques are specific to each chair design so correct and accurate replication is a must. 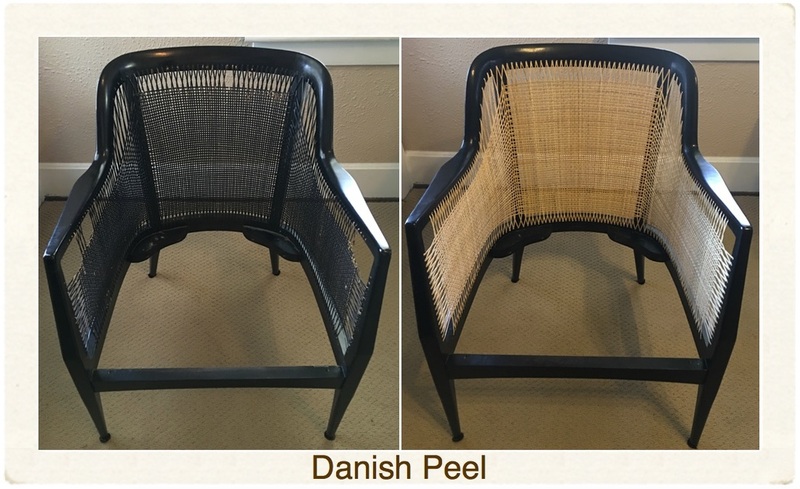 Danish Peel is highly advanced work for well seasoned and accomplished weavers. 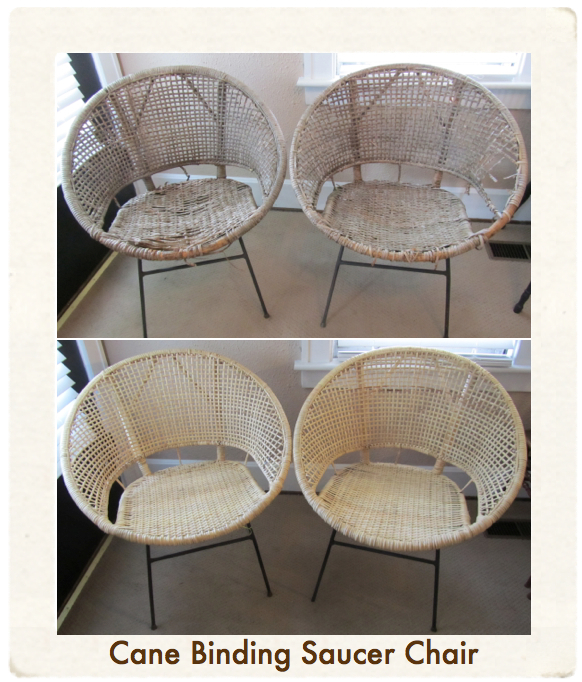 MATERIAL: Cane is produced from the peeled-off bark of rattan which naturally grows in Southeast Asia. The strips of bark are cut into strips of uniform width and are referred to as peel. COLOR: Cane is bleached during manufacturing so that the strands are as uniform in color as possible, however there will be some natural variations. 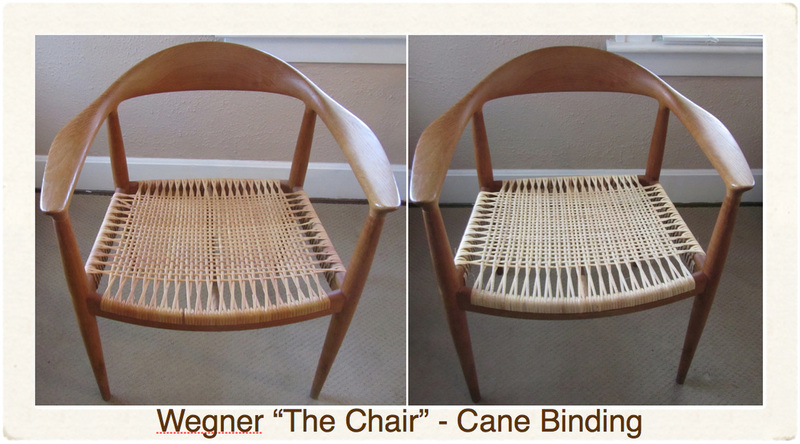 When the cane is brand new it is a light blond color and will darken with age and oxidation to a honey brown.